Members of the Broadcasting Board of Governors and Radio Free Europe/Radio Liberty Board of Directors are planning to consult former Radio Liberty journalists in Russia fired on orders of RFE/RL President Steven Korn. Sources told BBG Watch that in an unprecedented move, the Radio Free Europe and Radio Liberty (RFE/RL) Board of Directors plans to ask representatives of the fired Radio Liberty journalists to raise their concerns directly with board members in a teleconference scheduled for next month between Washington and Moscow. According to sources, the invitation for the fired Radio Liberty journalists, which can only be viewed as a sign of major doubts about RFE/RL President and CEO Steven Korn’s leadership, was agreed to by key board members. The RFE/RL’s corporate board is made up of all presidentially-appointed members of the Broadcasting Board of Governors (BBG). It is chaired by BBG member Dennis Mulhaupt and co-chaired by BBG member Susan McCue. In a normal corporate setting, this kind of invitation issued by the board of directors would likely lead to a CEO submitting his resignation, but Steven Korn appears ready to continue the fight. He has already expressed his disdain for Mikhail Sokolov who together with Marina Timasheva represented the fired journalists at a recent roundtable in Moscow. Sokolov is considered one of the best political reporters in Russia. He received from former President Yeltsin the broadcasting license for RFE/RL in Russia in recognition of his brave reporting during the 1991 communist coup. According to sources, even BBG members who initially supported Korn’s mass firing of Radio Liberty journalists in Moscow became appalled by reports of his dismissive comments about Russian human rights leaders and their concerns, details of the brutal treatment of the fired staffers, Mr. Korn’s refusal to provide information to the BBG Strategy and Budget Committee, and sexually suggestive videos produced for RFE/RL’s programs in Kazakhstan after half of experienced broadcasters of the RFE/RL Kazakh Service in Prague were also fired on orders of Mr. Korn. The videos, which have been removed from the RFE/RL website after numerous protests, also make fun of gays and Latinos and include swear words and obscene gestures, according to Kazakh speakers who contacted BBG Watch. The videos can still be viewed on other sites on the web. A former BBG member, radio personality Blanquita Cullum (The Washington Times), has strongly condemned Mr. Korn’s actions, as did former Voice of America acting associate director Ted Lipien (National Review Online) and former Radio Liberty Russian Service directors Mario Corti (National Review Online) and Leonid Finkelstein, as well as Russia scholar and the Hudson Institute senior fellow David Satter. National Public Radio (NPR) also reported on the controversy and The Washington Times published an op-ed by Kirill Filimonov, a former journalism intern at the RFE/RL Moscow bureau who helped to organize a protest in front of the U.S. Embassy in Moscow. U.S. News & World Report also reported on some of the details of the story. BBG members may also be concerned that the fired Russian journalists, who formed a group calling itself Radio Liberty in Exile, have started their own news website, SvobodaNew.com. BBG Watch reported that the number of monthly visitors to the official Radio Liberty Russian website has dropped from 100,000 to 40,000 after the new Russian Service director Masha Gessen and her team of editors, most of whom lack experience in political reporting and multimedia platform management, failed to cover important news stories. News stories ignored or not reported promptly by Masha Gessen’s team included the release of former president Mikhail Gorbachev’s new book and President Obama’s phone conversation with President Putin together with the announcement of plans for Obama’s visit to Russia. The Masha Gessen team and its official Radio Liberty website are being boycotted by most human rights, political and intellectual leaders, as well as most of the traditional Radio Liberty audience in Russia. RFE/RL management has blocked access to SvobodaNew.com on employee computers. Leaders of the Russian human rights movement have sent two letters to Secretary of State Hillary Clinton and the U.S. Congress with requests for Congressional hearings and reinstatement of the fired journalists and their programs. 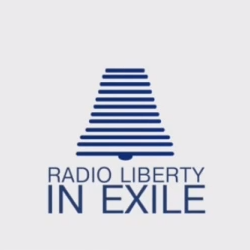 Radio Liberty in Exile has produced a video in which the fired journalists appeal to the U.S. Congress for help. The video shows that, contrary to Mr. Korn’s claims, the journalists were doing a lot of digital media reporting. Numerous Russian and international media reports described actions taken by Mr. Korn as a public diplomacy disaster for the United States in Russia. Secretary of State Hillary Clinton is an ex officio BBG member and is represented at BBG meetings by Under Secretary of State for Public Diplomacy and Public Affairs Tara Sonenshine. The BBG has also received numerous protests against the firings and statements of support for the dismissed journalists from all major anti-Putin opposition leaders in Russia, including Mikhail Gorbachev. Ambassador Victor Ashe was until now the only BBG member who publicly voiced concerns about Mr. Korn’s leadership. BBG Watch also reported that the BBG Strategy and Budget Committee chairman Michael Meehan exchanged strong words with Mr. Korn after he refused to provide the committee with information he requested about Ms. Gessen’s salary. The RFE/RL board meeting, during which representatives of the fired Radio Liberty journalists are expected to participate, will be held in Washington, DC on December 13 or 14.